Type 2 diabetes mellitus has been recognized as another link in the pathological pathways leading to dementia. This field has been discussed in many studies, but clinical research expected to guide medical practice is limited. 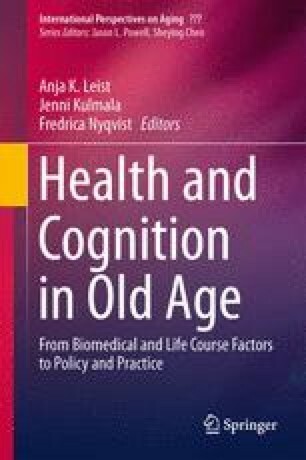 The main objectives of this study were to evaluate the impact of metabolic profile on cognitive function in older diabetics without dementia and to identify other risk factors associated with cognitive decline and impairment of health-related quality of life (HRQoL). The research was conducted at the National Institute of Gerontology and Geriatrics “Ana Aslan”, Bucharest, during 2008–2011. Three hundred and sixty patients aged 65 and over in the study group and 300 in the control group were evaluated at baseline and every 6 months during an 18-month period. Cognitive function was monitored using the Folstein’s Mini Mental State Examination (MMSE) and the Clock Drawing Test (CDT). HRQoL was examined using the SF-36v2™ standardized questionnaire. The metabolic profile was monitored as well as diabetic complications. Multivariate analyses showed a significant negative relationship between one metabolic parameter, glycated hemoglobin (HbA1c), and cognitive scores in the CDT. Other determinants such as alcohol consumption and body mass index were identified as risk factors for cognitive decline. A significant deterioration in some of the HRQoL domains (such as “role-emotional” and “social role”) was observed in diabetic patients during follow-up. For proper management of an older diabetic patient, routine medical practice should include combined tests for monitoring cognitive function. A good and early metabolic control (confirmed by regular HbA1c tests) contributes to preservation of the cognitive status. The authors would like to express their deepest gratitude to Professor Alan Walker for his continuous and invaluable guidance and support. They are particularly grateful to Professor Tony Warnes and Professor Stuart Parker for their extremely kind assistance offered during the completion of the FLARE project: “The Impact of Metabolic Control on Cognitive Function and Health Related Quality of Life in Elderly Diabetics.” Moreover, the authors wish to thank Professor Mihail Coculescu for his enthusiastic encouragement and constructive suggestions. Special thanks are conveyed to Dr. Charlotte Ruse, consultant geriatrician at Northern General Hospital, Sheffield, for her generous advice and for being a treasured source of inspiration. Sincere and warm thanks are particularly extended to Dr. Anja Leist for her valuable contribution to improving the quality of the text. Last but not least, cooperation rendered by the funders of this study, Executive Unit for Financing Higher Education, Research, Development and Innovation (UEFISCDI), is greatly appreciated.